R is for Roughing it and Roughing it in! 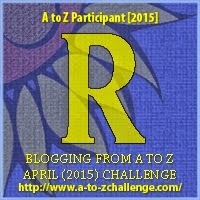 I’m hanging in there with the annual A-to-Z Blogging Challenge. For more information on the challenge and its creator visit: http://www.a-to-zchallenge.com. Mr. Contractor made renovation sound so incredibly easy. Oh, yeah, easy for him. He could go home to a clean, organized house, while hubby and I holed up in the back bedroom, trapped like rats. For months, we ate every meal out. It sounds like a woman’s dream to not cook but it gets old. Eating out is more fun when it’s my choice—not mandatory. As for clothes … we couldn’t find a thing. Everything we owned was in boxes, piled in a stack on a bed, or in the middle of a floor. When Mr. Contractor was ready to demolish a particular room, we had to move all our piled up clothes to another room, one he’d finished. To date, I haven’t even found all my clothes because we still haven’t unpacked boxes or organized our closets. Maybe my missing items ran off with my washroom doors! While we were roughing it, Mr. Contractor was roughing it in. He built walls and tore some out. He had a good laugh about how my dining room had a weird opening that led into our den, and talked me into letting him enclose it. Do you think a contractor should make fun of his client’s home? I guess his enclosure actually made the den and the dining area seem larger–though it wasn’t on my list of things to do. But neither were a few other things. Our little contractor took some liberties, and I’ll tell you about one of them on S day. See you then!